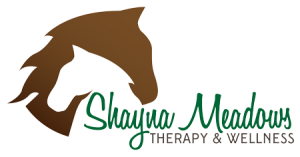 Have questions about equine assisted therapy or interested in scheduling a session? Please use the contact form below. From Greenbrier County and points south: Take Rt. 92 North from White Sulphur Springs into Pocahontas County. At the intersection of Rt. 92 and Rt. 39, take the left onto Rt. 39 west towards Marlinton for 4.2 miles to Minnehaha Springs. At Minnehaha, veer right onto Rt. 92 North towards Frost. Go 4 miles up Rt. 92 until you see a sign for Sunset Road and take that left. Go 1.5 miles up Sunset to see the sign and driveway on the right. From Marlinton and points west: Take Rt. 39 East from Marlinton 9 miles to Minnehaha Springs. At Minnehaha Springs, take a left on Rt. 92 north towards Frost. Go 4 miles up Rt. 92 and look for the sign for Sunset Road. Take a left on Sunset and go 1.5 miles until you see the sign and driveway on your right. From Monterey VA area: Take Rt. 220 south out of Monterey for 3.9 miles and turn right onto Rt. 84 towards Frost. At Frost, veer left onto Rt. 92 south. Go 6 miles on Rt. 92 until you see the sign for Sunset Road. Take a right onto Sunset and go 1.5 miles until you see the sign and driveway on your right. From Hot Springs VA area: Take 39 West towards Marlinton for 21.9 miles to Minnehaha Springs WV. At Minnehaha, take a right onto Rt. 92 North towards Frost. Go 4 miles up 92 until you see a sign for Sunset Road and take that left. Go 1.5 miles up Sunset to see the sign and driveway on the right. From Northern Pocahontas County and points North: Take Rt. 92 south to Frost. As Frost, remain on Rt. 92 for 6 miles and then you will see the sign for Sunset Road. Take a right onto Sunset and go 1.5 miles until you see the sign and driveway on your right.